Transport your body and mind to a state of perfect inner harmony with this one-of-a-kind combination of traditional healing practices. 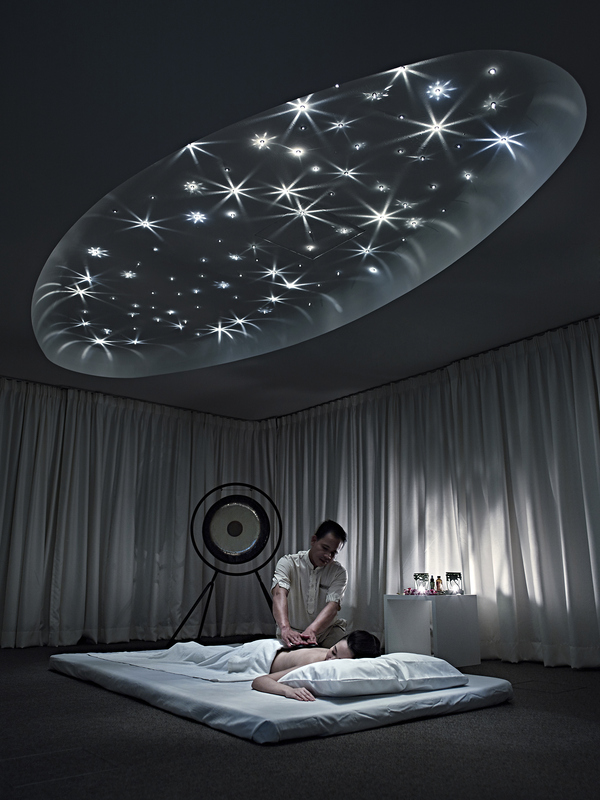 As your body is lulled by relaxing vibrations emanating through the specially-designed floor, the therapy begins with a full body, deep tissue massage inspired by Thai and Tui Na techniques. Your back is given extra attention, using warmed stones, essential oil-infused compresses and a rhythmical massage. An Indian head massage focuses on the marma points. The entire experience comes to an extraordinary closure with a 10-minute "Sound Bath", enveloping the body with the frequencies of our Symphonic Gong, harmonising the subtle energy and nerve paths, and leaving you feeling relaxed and rejuvenated. The foot is the second heart of the body, and proper care leads to our overall well-being. Our foot steam therapy combines the best of a foot massage with a Malay herbal foot steaming and ends with a neck and shoulder massage. Conducted by the poolside treatment area, relax as each foot is massaged to loosen any knots, after which the feet are rested in a special herbal steam pot. Steam made from a blend of dried herbs and spices, including pandan, lemongrass, kaffir lime, cinnamon, clove and basil, circulates the feet to reduce tendon and ligament inflammation and water retention. While the feet get pampered, sit back and enjoy your neck and shoulder massage to further encourage you into deep relaxation.